Target released a new holiday Beauty Box, the Lashing Out Target Beauty Box! It contains five mascaras: four full-size mascaras and one deluxe-sized. FYI – this box is currently available for purchase! These tend to sell out quickly so buy soon if you’re interested! And for future Target Beauty Boxes, sign up below for Target Beauty Box News Alerts if you want an email when these boxes go live! (Or sign up for the daily newsletter to get an email when the boxes go on sale). I know this is a long-time favorite mascara for a lot of women, so I started with this one. I thought it worked pretty well! The formula is very black, but the brush was small and I had a hard time feeling like I could get the definition I like. I didn’t have any issues with smudging under my eyes by the end of the day, though. I’m hoping a side-by-side application may be helpful for comparison. I definitely feel that I got some more length with the L’Oreal, but neither disappointed me and both wore well throughout the day. Silicone brushes are more my preference. With the shorter, spikier bristles, I was able to get right up to my lashes and wiggle the brush to get in between for some better definition and length. 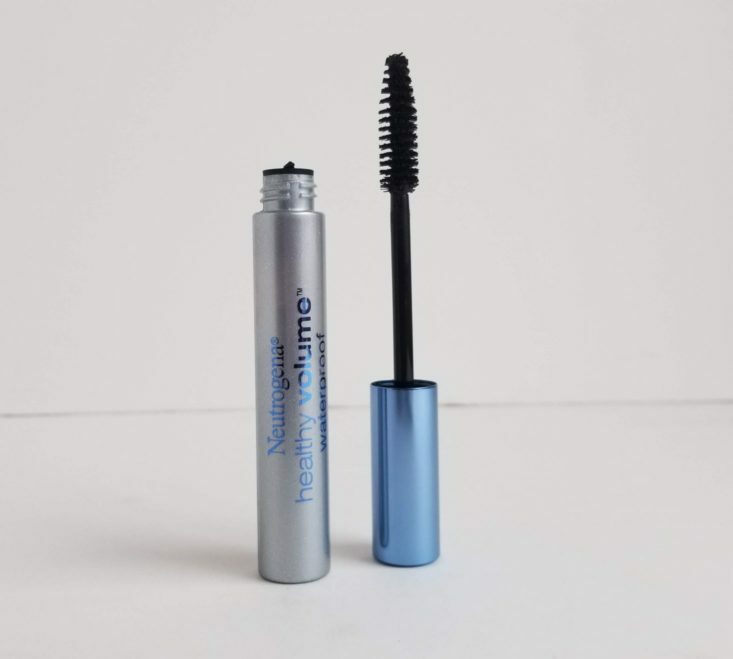 I didn’t feel that this formula was as dark or jet black as I’m used to from other mascaras, and it took some work to build up enough on my lashes for me to be happy. Here’s another side-by-side. I’ll finish up the Covergirl, but I’ll probably pass along the Maybelline Falsies. Also, these both smudged under my eyes a little by the end of the day. I was actually pretty happy with the application of this Neutrogena mascara! It felt like it wasn’t quite as wet of a formula as the other, though, so it took a couple coats to get it how I like. My main complaint with this one, though, is that it seemed to have worn off my lashes slightly at the end of the day. I thought its waterproof-ness was satisfactory, though. The Verdict: The total estimated retail value of this box is $26.05. I think this is a pretty good value for a $14.99 box, especially if you know you already like and will use these mascaras, it makes it a good deal to stock up! It also is a good way to try out some that may be new to you without having to pay full-price in case you don’t end up loving it. Can you get this box if you sign up today? Yes, as of publication, this kit is still available on Target’s website for both delivery and free ship-to-store! Alternatively, each item in this box has an average cost of $3. What do you think of the Lashing Out Target Beauty Box? 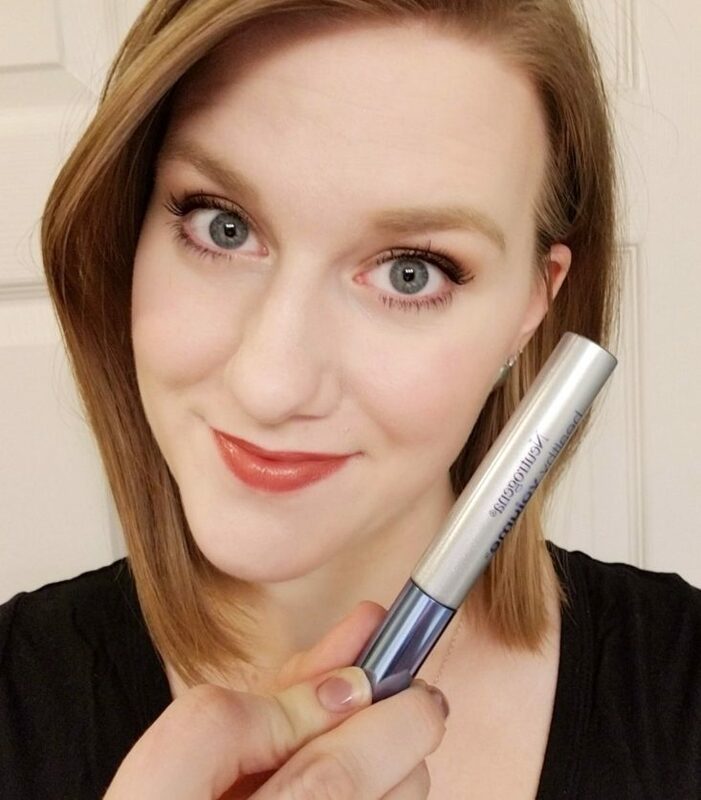 Thank you for reviewing mascara and actually showing us what it looks like! You always look lovely Haley! What foundation do you use Haley? Your face looks flawless with all of these! I don’t think she even has pores. Her skin always looks flawless. Haha thank you, Marissa! @Uff_da, your comment cracked me up. My current foundation is either Tarte’s Hydrating Shape Tape or my long-time love Tarte’s Amazonian Clay BB Cream with SPF. This summer (when my skin was a shade or two tanner) my ride-or die was the lightest shade of It Cosmetic’s Illuminating CC cream. Although, I will say, between my education while previously working at Sephora and trying tons of skin care from subscription boxes for 4-5 years, I’ve (finally) learned what my skin likes, plus I also wear primer + foundation + Make Up For Ever’s HD Setting powder every time I wear makeup. You should have seen me in high school. It was so bad – I genuinely never thought I’d be happy with my skin! I got this box. I’m not too picky about mascara. So it was a good way to try out several brands.